See Brecht in the Park in July at Central Park North’s Great Hill near Harlem | HarlemGal Inc.
To shake up the usual outdoor theatre fare offered in NYC, Elephant Run District is presenting Brecht in the Park for the month of July in Central Park North. 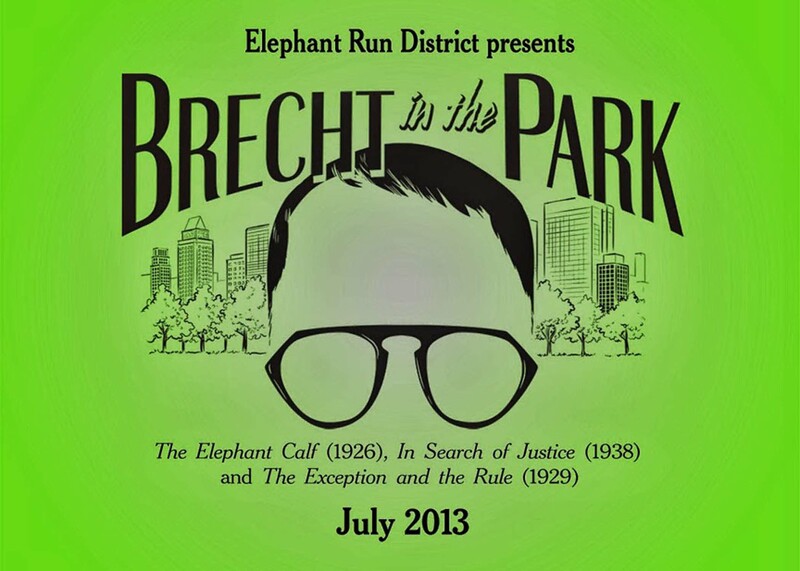 Brecht in the Park is three short plays, which will include The Elephant Calf (1926), In Search of Justice (1938) and The Exception and the Rule (1929). Each of the three short plays is connected by the motif of a courtroom drama, where society’s rules are examined and one is judged based on those rules. Performances are Saturdays and Sundays starting July 6 to the 28th at 4 p.m. (no-show July 13) near the southeast corner of the Great Hill in Central Park. Admission is free to all performances. Donations will gladly be accepted. Take the subway C, 2 or 3 trains to 110 Street. The organization is partnering with bier international in Harlem at 113 Street and Frederick Douglass Blvd. Bier’s chef is creating special pre- and post-show menu items to serve at the restaurant. For more information about this event go to www.elephantrundistrict.org. This entry was posted in art and culture, Bars, bier international, Central Park North, Community, entertainment, Events, food, Free!, Harlem, Harlem blogs, Harlem Restaurant Row, Harlem restaurants, New York, New York City, NYC, restaurant row, restaurants, Things to do in Harlem and tagged bier international, Brecht in the Park, Central Park North, Great Hill, Harlem, theater. Bookmark the permalink.